On the occasion of the 100th anniversary of Ivan Cankar, the Slovenian writer, poet and dramatist, we would like to encourage students at Danila Kumar to take part in the Moro Foundation contest. WHAT YOU NEED TO DO? You can take part in the contest by creating your own creative product. The final deadline for the submission of the products is on December 12th, 2018. The announcement of the contestants and the awards will be given on the last school day of this year, December 21st, 2018. 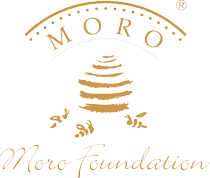 Congratulations to the winners of Moro Foundation’s contest! MORO FOUNDATION’S CONTEST: We come from different countries! We wish you all a great summer holiday! Danila Kumar International School students swopped school desks for cooking experiences. They competed in the ‘Domača kuhna’ competition which they enjoyed very much.More about that HERE. DO YOU WANT TO JOIN JUVENTUS ACADEMY IN SLOVENIA?